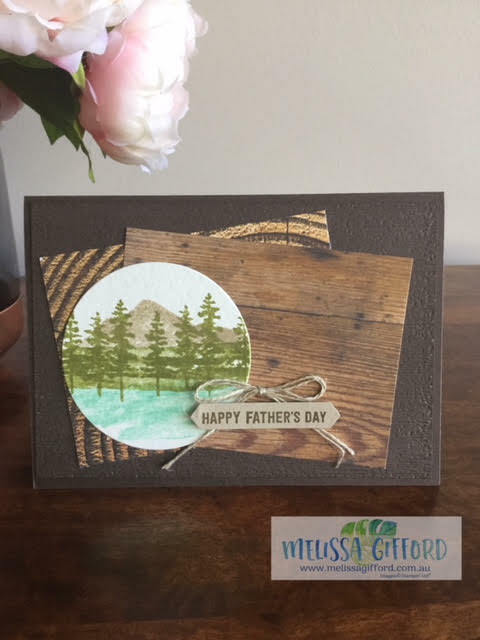 Last week I had a customer order for an assortment of cards, one needing to be a Father's Day card. 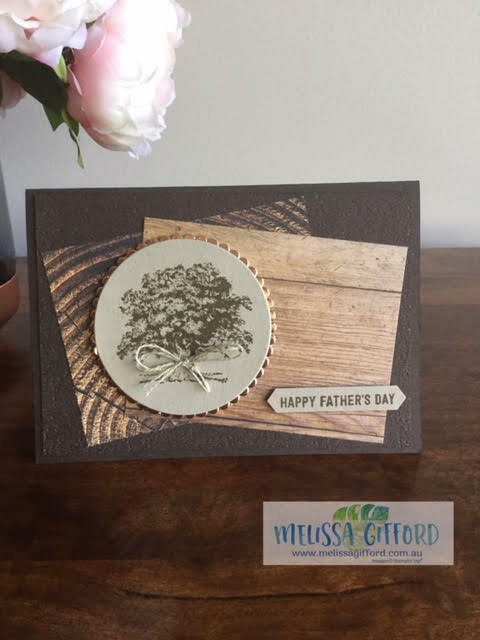 I came up with 2 samples both using the wood textures designer series paper which I love! The first card I inked up my old favourite - Lovely as a Tree. This is the only set I have left that is wood mount! I like the simplicity of the single tree, a pop of copper accent and the varying colours of the wood patterns. This time the circle panel is watercolour paper, I wanted to get a softer, watercolour look and this paper has a lovely texture too which is a bit hard to see in the photo. I love the trees and the soft water, it's very soothing. Both of these cards have an early espresso panel which I embossed with the Subtle embossing folder - and it's just that. A very light looking background that adds texture but not bulk! This folder is my special birthday offer for all purchases over $60 this month. Read HERE for all the details.